When it comes to growing wealth with your investment portfolio, consistency is key. That’s where dollar cost averaging really shines! Whether you prefer investing in dividend stocks or taking a multi-faceted approach to your portfolio, committing to regular contributions to your investment account is one of the most important factors to a successful investment strategy. Dollar cost averaging (also referred to as DCA) allows investors to buy the same dollar amount of a stock, bond, mutual fund, ETF or other investment at regular intervals set by the investor. 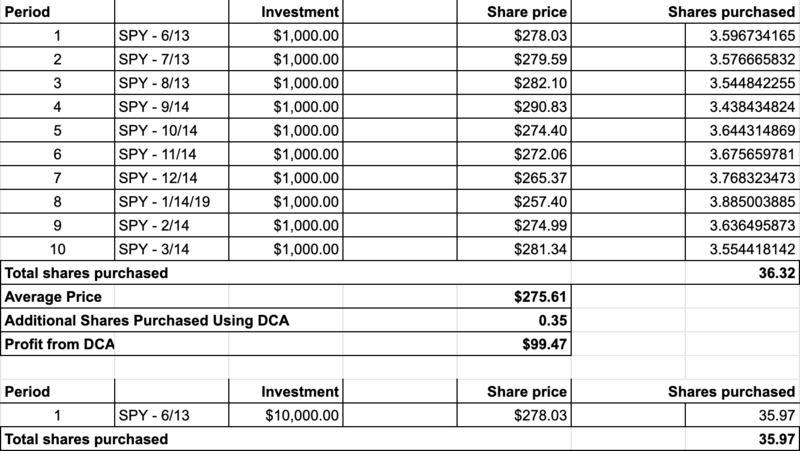 The asset price is less of a concern with DCA than the regularity of the investment account contributions themselves. This is a popular strategy for saving for retirement with a 401(k) or IRA, but that doesn’t mean it’s limited just to retirement accounts. Dollar cost averaging is popular among newer investors and those who don’t have much available income to dedicate to investing but they still want to get involved anyway. Thanks to DCA, you don’t need thousands of dollars saved up in order to open an investment account and start growing your portfolio on a regular basis – you can simply contribute whatever you can afford as your income level rises. The main purpose of dollar cost averaging is to accumulate a sizeable savings and generate wealth over the long run. 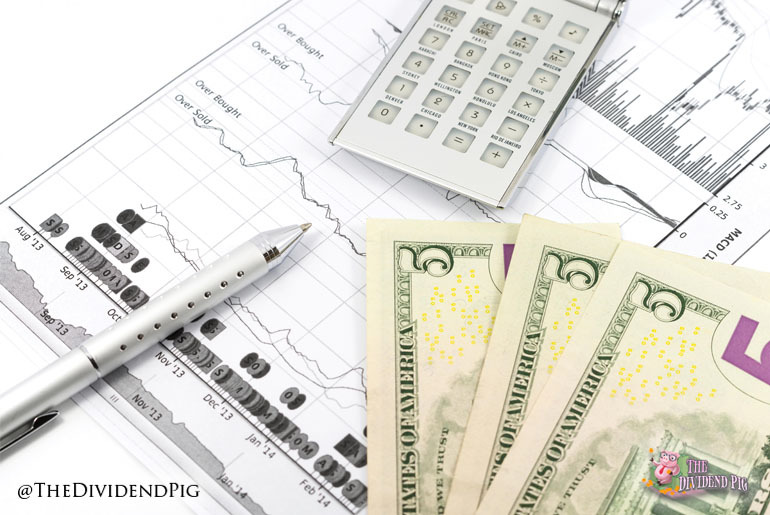 A common misconception prevalent among newer and would-be investors is that you need at least $5,000-10,000 upfront to open an investment account. On the contrary, many investment and retirement accounts managed by robo-advisors and other online platforms have tiny or even no minimum deposit requirements, which means you can literally open an account today and start investing when your next paycheck comes in. The most important thing to remember when it comes to dollar cost averaging is that you stay consistent. So if you’re paid twice per month and have about $300 total to allocate to investments, then a dollar cost averaging strategy dictates that you should set up biweekly auto-deposits to your investment portfolio ($150 per pay period). To determine how successful your dollar cost averaging investment strategy is, you’ll want to use the harmonic mean formula to calculate the price-per-share over time. This formula sounds complicated, but in simple English, it’s the number of time periods (e.g., weeks or months) divided by the various prices-per-share you paid each time you made a contribution to your investment account. DCA compared to a lump sum buy of $SPY ETF on 6/13/18 would net you .35 additional shares and a value increase of $99.47. It all adds up! Here is a link to the dollar cost averaging calculator spreadsheet pictured above to create this example. Is Dollar Cost Averaging Ideal for Your Portfolio? If you have an irregular income or high-interest debts you’re working hard to pay off, then dollar cost averaging might not be ideal for your current situation. However, anyone with a regular income who lives below their means (i.e., has even $10/month available to invest – check out my Stockpile review) should consider adopting a dollar cost averaging strategy when they’re first starting out – at least until you learn enough about the different types of investments and the risks they carry enough to make informed decisions about optimizing your investments for maximal gains. It works I’m a testament to that small amounts generally throughout the year and generally 1 or 2 bigger purchases of $500 plus and I have a nice portfolio. The cheaper the trading platform the better. Right now mine is free so I take advantage of that to the max. I do pay some fee for selling but it’s been 3 cents so far. Great article. Thanks for your transparency , motivation and tips! I’ve just started my countdown and decided to go he dividend growth route. I look forward to seeing your April purchases ! .. but wish I could what you’re considering before April is over. Considering some stocks now but of course it is tough to find value so I’m hesitant and always researching.